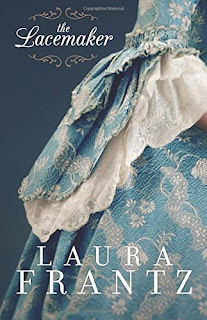 About the Book When colonial Williamsburg explodes like a powder keg on the eve of the American Revolution, Lady Elisabeth "Liberty" Lawson is abandoned by her fiancé and suspected of being a spy for the hated British. No one comes to her aid save the Patriot Noble Rynallt, a man with formidable enemies of his own. Liberty is left with a terrible choice. Will the Virginia belle turned lacemaker side with the radical revolutionaries, or stay true to her English roots? And at what cost? My Thoughts When I heard about this book, it drew my attention. It was about a lacemaker and I haven't heard of many of them. The book drew me in and I didn't want to put it down. The book had quite a few foreign words (French and Welsh) but most were understandable either by it giving a direct translation for it, or through context. It also used old versions of words such as salat (salad), lanthorn (lantern), Kentucke (Kentucky). It made it more "in period" but I was glad I was reading the book on my Kindle as then I could highlight words I didn't understand and see what they meant. A couple of things sort of rubbed me the wrong way a little. They kept saying "Providence" did this or that instead of "God". Maybe that is how they would have referred to it, but it kind of bugged me. Also, at first they kept referring to Thomas Jefferson as "Jeff" and George Washington as "Wash". Did they really call them that? The book was well written and really brought to light the difficulties and dangers that the Patriots faced during the American Revolution. 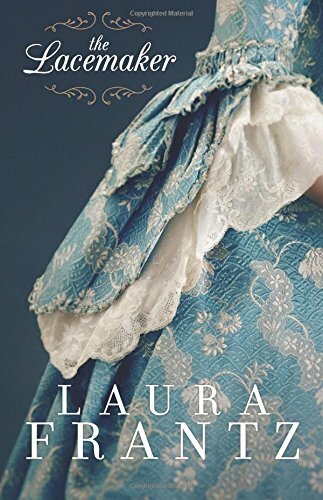 About the Author Award-winning, bestselling author Laura Frantz is passionate about all things historical, particularly the 18th-century, and writes her manuscripts in longhand first. Her stories often incorporate Scottish themes that reflect her family heritage. She is a direct descendant of George Hume, Wedderburn Castle, Berwickshire, Scotland, who was exiled to the American colonies for his role in the Jacobite Rebellion of 1715, settled in Virginia, and is credited with teaching George Washington surveying in the years 1748-1750. Frantz lives and writes in a log cabin in the heart of Kentucky. According to Publishers Weekly, "Frantz has done her historical homework." With her signature attention to historical detail and emotional depth, she is represented by Janet Kobobel Grant, Literary Agent & Founder, Books & Such Literary Agency of Santa Rosa, California.